The 2019 Provincial Chapter of Affairs and Election is being held March 24-31, 2019 in Chiara Center. The theme is "Pouring new wine into new wineskins" and Sister Joanne Hanrahan, SSND, is the facilitator. 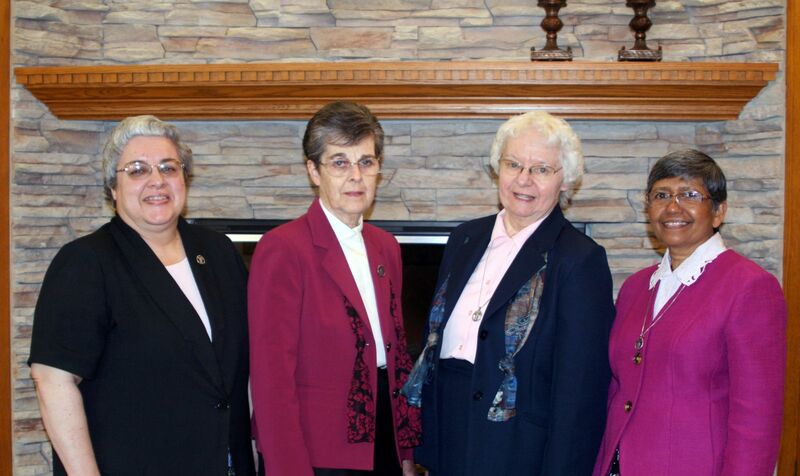 The Provincial Chapter is a meeting held every four years to elect the leadership team and provide direction for the American Province. 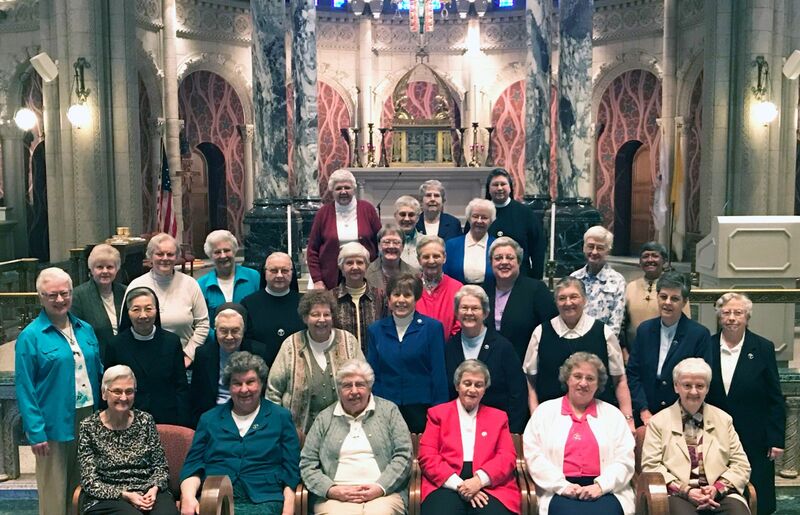 There are 27 Chapter Delegates which include Sister M. Margarete Ulager, OSF, General Superior, and two guests: Sister M. Christella Watanabe, OSF, General Vicaress and Sister M. Beata Kapica, OSF, General Treasurer. Our country has many very pressing needs for which the designated money was already budgeted by our Congress and for which it should be used. We, too, remain firm and resolute in the vision of Pope Francis that in these times, we need to be building bridges—not constructing more walls. Walls, by their nature, are structures designed to separate peoples, things and understanding. They serve as an obstacle to any kind of exchange. The camp was built with the express purpose of discouraging immigrants from coming to the U.S. Thousands of children are imprisoned there. There is no healthcare there for them and their abusive imprisonment causes irreparable harm to their normal development.There are many other, much more suitable places to house the children in a significantly less expensive way. The petition asks that the children be placed with family or sponsors, who will not be targeted by Immigration and Customs Enforcement (ICE) for deportation and that no more centers be built to replace it. 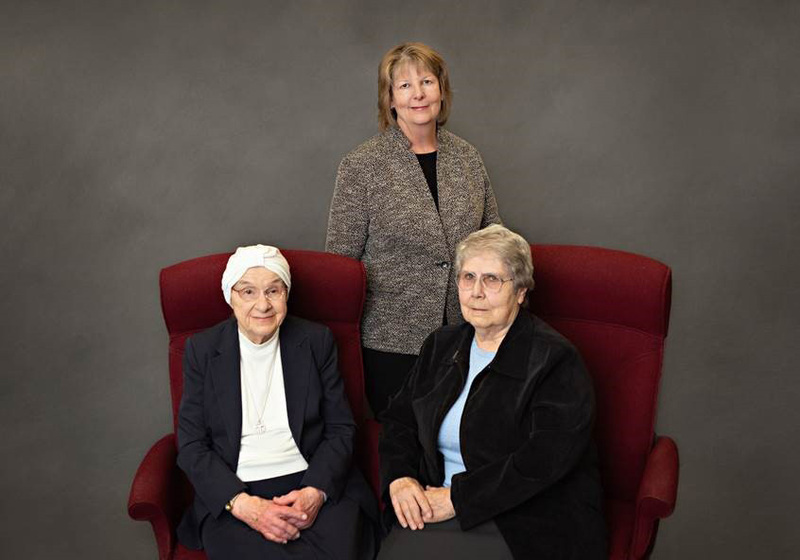 This year marks the 175th anniversary of the founding of the Hospital Sisters of the Third Order Regular of St. Francis. This graphic was designed by Sister M. Theodora (Japan Province) and will be displayed throughout the year in various ways including as a flag on a new flagpole at Convent Entrance and on the flagpole at Chiara Center. The central image of the graphic is Our Lady of Grace Chapel (Telgte, Germany) where Father Christopher Bernsmeyer, OFM, welcomed young women to begin their life of caring for the sick on July 2, 1844. Surrounding the Chapel are the flags where the Sisters have a Province: Germany (since 1844), Poland (since 1849), USA (since 1875), Japan (since 1948), and India (since 1973).